Today I'm going to share one of the tools from my Self-Healing, Cancer & Love book (available here). The passage is about the Heart Chakra meditations, and how we can send the energy of unconditional love to any part of our life. It's also a nice followup from last week's post on Releasing Negativity. 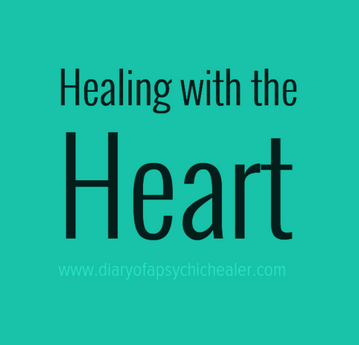 The heart’s capacity for love may be one of the most powerful healing tools at our disposal. Love heals fear, anger, anguish and other unpleasant emotions. It can also revitalize the spirit. I am not referring to romantic or familial love, which is loving someone because of who they are to us. Instead, it is universal love and appreciation. Recognizing and cherishing that spark of light in yourself and others. Some people find it easiest to describe this concept in religious terms, telling us that God, Jesus or Allah are about unconditional love – and wouldn’t it be nice if everyone lived that way. We wouldn’t have separation, judgment, discrimination, blame or guilt. Healing these qualities, as well as anger and resentment, is precisely what we need to find peace and harmony. On a personal level, Heart Chakra meditations can be profoundly healing. I like to imagine a soft violet flame filling my Heart Chakra with warmth. The flame transmutes the energy in my Heart to unconditional love, filling it with warmth until it overflows into the rest of my Chakras and to the physical body. If I run into resistance, in the form of fear, pain or anxiety, the violet flame releases it too. Nothing to worry about. This technique also enables me to extend that violet flame to any people or situations around me who need it. To do this, I visualize a similar violet flame filling their Heart Chakras. From this place of love it is easier to handle any personal issues that resurface during self-healing. We merely observe them from a place of love."